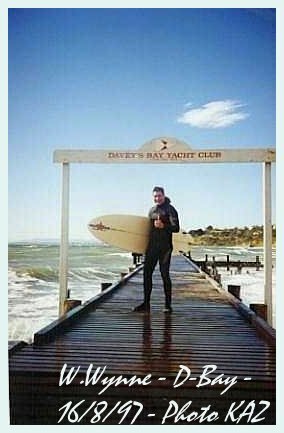 Is there surf in Port Phillip Bay? Most will say no! 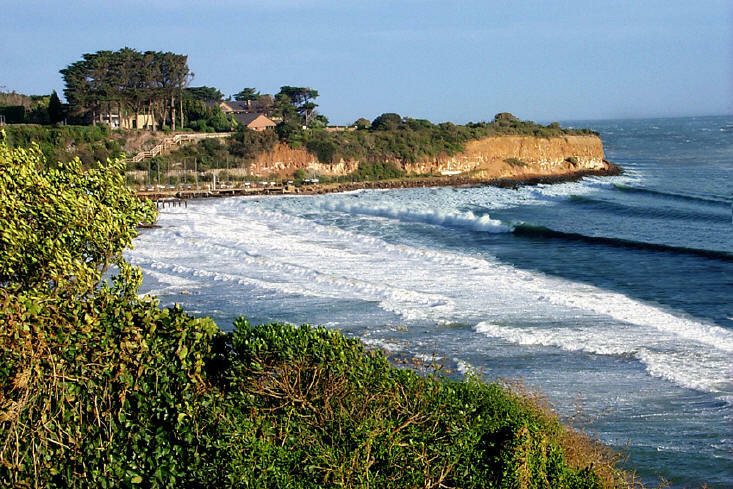 But many East Coast surfers had their early surfing experiences in the wind chop and swells created by the strong north-westerly winds that sometimes sweep across the Bay and it is definitely part of the East Coast surfing experience. 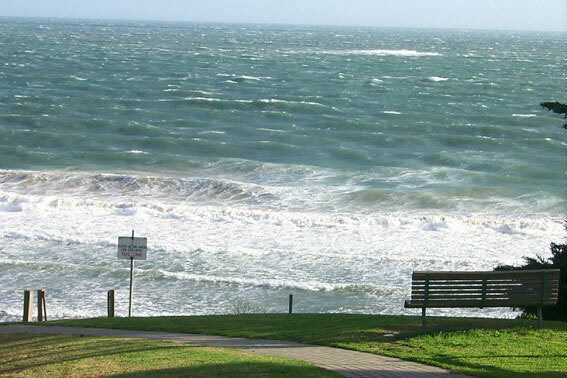 Brighton Baths, Patterson River mouth, Frankston Pier, Canadian Bay and especially the legendary Davey's Bay do get waves when the wind's blowing strongly enough. 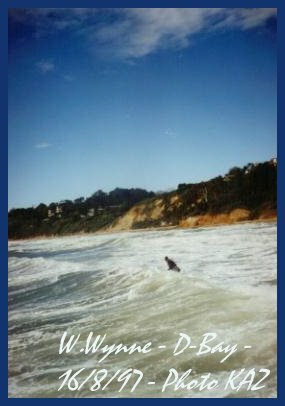 Bay surfing is always onshore and almost always freezing so its rarely documented. 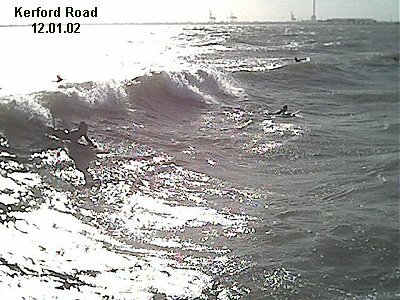 But, if you're in Year 11 and nobody's going to drive you to Point Leo, there's always the chance of a Bay surf after school. And sometimes it [almost] gets good! 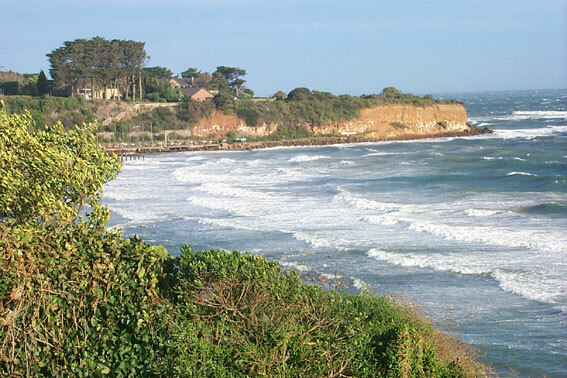 In 2001 the Peninsula Surf Centre tried to organise a professional contest in the Bay but despite a long waiting period, the wind never got strong enough. 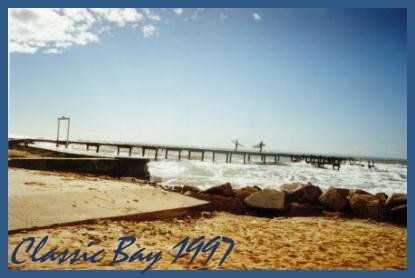 The shot below appeared in a 1970s 'Breakaway' (Sept 1974) and the caption read 'Just to show the non-believers, Bruce Simons of Edithvale took this shot of Port Phillip Bay ice. 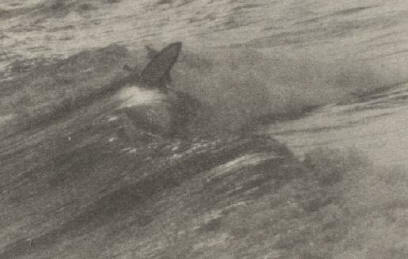 The rider, who made it out, is John Mason. 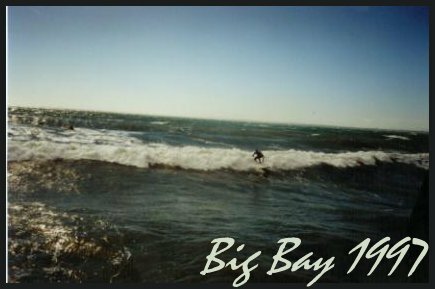 the photo was taken off Brighton in the days when the Brighton Baths created some of the best surf conditions in Port Phillip Bay. Shots of the Bay are rare since it's usually too cold or windy to hold the camera still. But intrepid photographer Karen Duffy is the undisputed master of Bay photography. 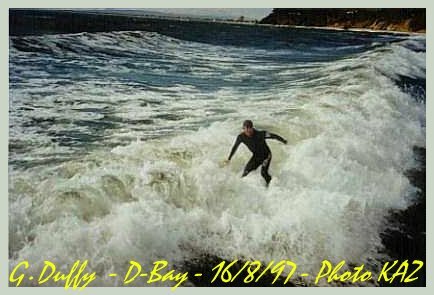 She braved the elements one memorable 1997 session for the shots below and survived a falling tree to take the second lot on June 27 2002. 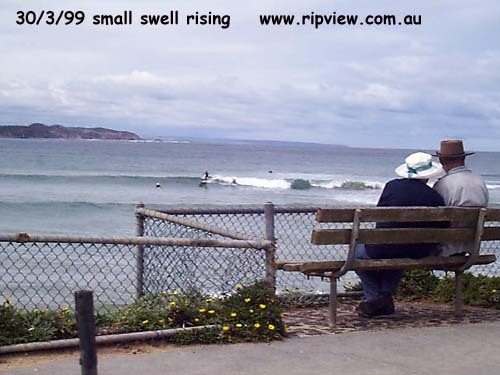 Above: Bay Dreaming: You know how you used to sit around and imagine what it would be like if the bay got waves? Well, imagine no more. This 'Bay Dreaming' shot from Gavin Duffy, shows the lines of swell at Davey's Bay Point! 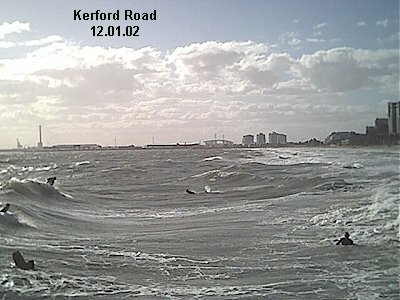 The shots below come from the Peninsula Surf Centre and show a nice little late arvo session at Kerferd Road, South Melbourne. 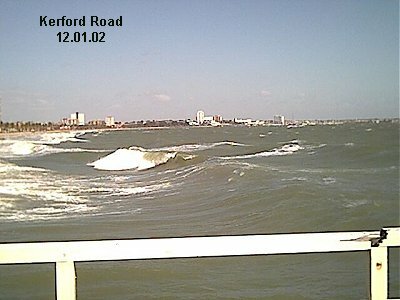 Though it would be difficult to claim South Melbourne as part of the Hoax Coast, these shots are typical of Bay surf from Mornington to Frankston. 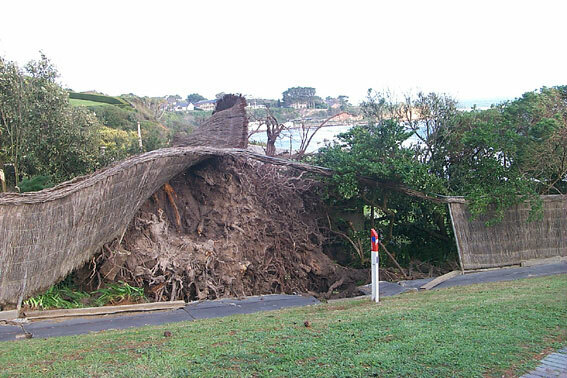 Luke Chalmers took these shots of a stormy looking afternoon at Canadian Bay early in 2004.